Londontec City Campus conduct various Diploma programmes on weekends. Following are several top diploma programme which conducted at this institute. 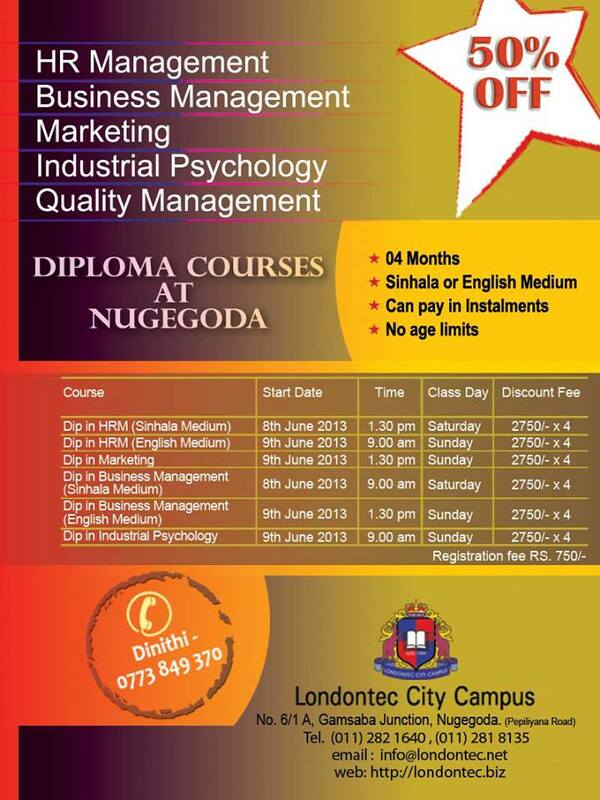 For further details about this course contact the following.